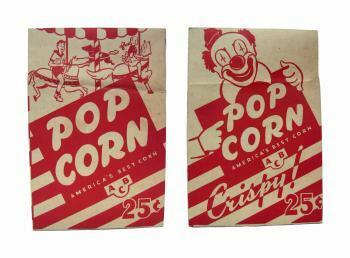 Front and back views of red and white ABC, America's Best Corn, Popcorn box. Features a sale price of 25 cents. Made of cardboard and measuring 8-3/4"H x 6"W x 3"D.